Without Alfred, there is no Batman. Though dressed in tuxedos and ties, the butler of Wayne Manor is the rock of Gotham. When Batman returns from the front lines beaten and bruised, Alfred waits to revive him. Indeed, he is the perfect foil to Bruce Wayne, the man behind the man. While he supports his ward's ambitions of saving Gotham, Alfred maintains a more reasoned approach to justice. He is the ally who plays devil's advocate out of love and care, but never cowardice. In 1943, Alfred Thaddeus Crane Pennyworth wandered into the world of the Detective Comics to provide a more comedic counter to Batman. Alfred wanted to be a hero, and while he helped Batman and Robin on a few occasions, his corpulent frame proved less suited to crime fighting and more to back-end support. Today, however, Alfred is more important to the Dark Knight than ever. Here is Every Adaptation of Alfred Pennyworth, Ranked. On Batman staring at family photos: "Sir, I have seen you go through similar phases in 2016 and 2012 and 2008 and 2005 and 1997 and 1995 and 1992 and 1989 and that weird one in 1966." How does one rank one of the most likable characters in Batman's world? While each portrayal is compelling in its own right, we must start with the tiniest version of all: Lego Alfred. Though we are definitely excited to meet Ralph Fiennes' interpretation of the character in The Lego Batman Movie, the first plastic iteration of the butler began in the 2008 Lego Batman. While he was a playable character in the first game, Mr. Pennyworth earned his stripes in Lego Batman 3: Beyond Gotham, where his trusted pewter tray became his most dependable form of defense. This particular version of Bruce Wayne's aide-de-camp cleverly used his plate to traverse areas engulfed in flames in what was one of the best Lego games to date. While the first Lego Alfred was voiced by Steven Blum, Robin Atkin Downes carried the mantle for the sequel and the more recent Lego Dimensions. In each of the games, Alfred becomes more of an accomplice than a butler to Master Wayne and his shadowy alter-ego. On Barbara Gordon's physicality: "If I may be so blunt, Miss Barbara...this mask...this suit...no longer fit." Based on the comics of the same name, Birds of Prey imagines a Gotham without Batman. This was the show's first and ultimately fatal mistake, as it was canceled before reaching its sophomore season. Still, Alfred Pennyworth remained a denizen of the Caped Crusader's abandoned city and his master's Batcave, taking the form of thespian Ian Abercrombie. 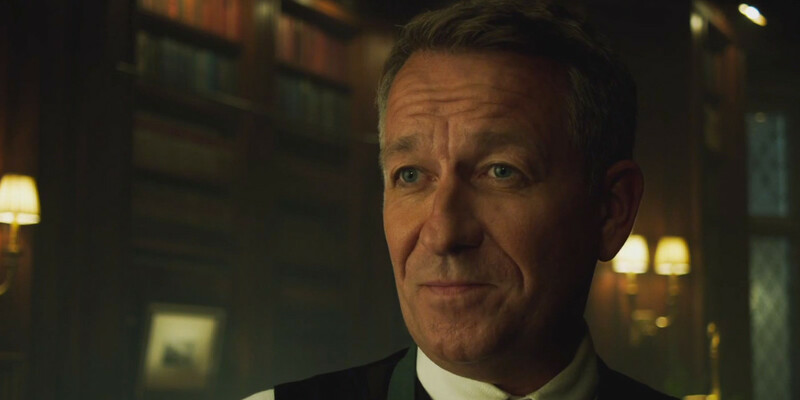 As only the second actor to portray the famed butler in live-action television, Mr. Abercrombie did fine work, though his role as caretaker to Master Wayne transferred to the needs of Helena Kyle (daughter of Batman and Catwoman) and Barbara Gordon. With his jowls and refined comportment, Abercrombie's Alfred is closely aligned with the Detective Comics' first depiction of the avuncular and slightly heavyset butler. Abercrombie is well-suited to the role, but in the absence of Batman, this anodyne Alfred becomes a bit soft through his chummy relationships with Barbara and Helena. We've since come to prefer our Alfreds with both sugar and spice. On an encroaching Azrael: "Take one more step, mate, and I'll put a bullet right between your bloody eyes." The Alfred of Gotham stands in stark contrast to Ian Abercrombie. More Daniel Craig's 007 than a benign butler, Sean Pertwee's rake on the character is testosterone-full and arthritis-free. While every other live-action adaptation of the character show an aging butler with a grown Bruce Wayne, Gotham rewinds the clocks to when Batman was merely a boy. Loosely based off the character in Batman: Earth One, Pertwee's Alfred is a cold-blooded veteran of the British Special Air Service. Though he retains his composure through much of the series, this Alfred is not to be trifled with. While some fans have found Pertwee to be slightly jarring in his portrayal, he successfully brings life to a different sort of Alfred. Hardly enfeebled by age, he is in peak condition and in prime form to guide Bruce Wayne to manhood. Though he is an exceptional shot and swordsman, this Alfred is particularly lethal in hand-to-hand combat. Seeing how much young Bruce admires him and his skills, we can only assume that this Alfred will unwittingly shape the future of Gotham's Batman. We must all tip our hats to Mr. William Austin, the first Alfred to ever grace the screen. A true fixture of the 1940s, Austin's butler is notable for several reasons. First, his appearance is responsible for the physical accoutrements we've come to expect of Batman's right-hand man. Though the comics had committed to making him a stocky and bumbling sort of Sherlock Holmes, the producers of the WWII-era Batman serial intended on going in a different direction. By casting William Austin, they introduced a new Alfred: lean, refined and in proud possession of a carefully-manicured mustache. Unfortunately for Austin's Alfred, he would also become a human prop throughout much of the 15-episode serial. On multiple occasions, Batman coerced Alfred into employing his acting experience to help foil bad guys (though it appeared Mr. Pennyworth hardly had the chops). This happened more than once, and always seemed to end in the thespian getting punched. To Batman, on Robin's apparent psychosis: "Worst of all, sir, Master Robin didn't recognize me. He's under the influence of some drug that makes him...well sir...quite a bully." The Batman TV Series was a campy masterpiece. As such, Alan Napier's iconic portrayal of the butler is perhaps the most comedic version of Alfred on record. While Batman and Robin are thoroughly absurd, Napier's performance provides the ballast for the show that allows the rest of the cast to cut loose. He is seldom fazed by the ridiculousness of the world he inhabits, and he deals with his slightly schizophrenic boss with aplomb. "It's the Bat-phone," he whispers to Bruce with utter seriousness. It's clear that Alan Napier's Alfred is very pleased to be the butler of Master Wayne and the gatekeeper of his secret identity. Though Mr. Napier's thick-set glasses make him a true product of the 1960s, he still retains the archetypal mustache of his predecessors. This silvery-haired Alfred has also been summoned to the field several times, and on one occasion, he even pretended to be Batman himself. Taunting Lex Luthor while dressed as Batman: "Did you come here to fight me, Luthor? Or my janitor?" Though he is less prominently featured in Batman: The Brave and the Bold, this series saw Alfred (voiced by James Garrett) enjoying one of his most empowering moments to date. While defending Wayne Manor from a Buzz Lightyear-looking Lex Luthor, a nimble Alfred dons Batman's protective suit and goes to war. Though he is essentially a well-spoken human decoy with a caustic English accent, he survives Luthor's best efforts and passes the baton to his younger counterpart. Before Batman engages the bald menace, Alfred tells him, "Bash that bald blighter!" If you weren't familiar with the word "blighter," you're not alone. In Brave and the Bold, we can attribute Alfred's loquaciousness to his hobby as an accomplished writer. He came to the Wayne family after a distinguished acting career and time in the military, and while he maintains the Batcave and its many toys, he dedicates his free time to writing detective stories inspired by Batman's adventures. This Alfred is a true Renaissance man. Actor James Garrett has a voice well suited to the role, though hints of his American heritage can occasionally be heard in the otherwise sophisticated butler's speech. Catching Master Wayne in a contradiction: "You are the very definition of a secret, Bruce." Though this version of Alfred Pennyworth (voiced by JB Blanc) may look like a relative of Lex Luthor, he is the Dark Knight's truest brother-in-arms. In Beware the Batman, this all-CGI Alfred takes on a hulking frame, bald head and grizzled demeanor. As the godfather of Katana, Alfred tacitly acknowledges his age by including her in the family to protect the Wayne estate after he is no longer fit for duty. Batman may not appreciate the sentiment, but his steward always has his best interests in mind. Until his retirement comes, this Alfred is down to clown, and though he is more injury prone than ever, he helps Batman fight against Mr. Toad and the villainous Pyg. Voice-over veteran JB Blanc may be Paris-born and considerably younger than this aging Alfred was made to be, but his tonal quality is perfect for the part. 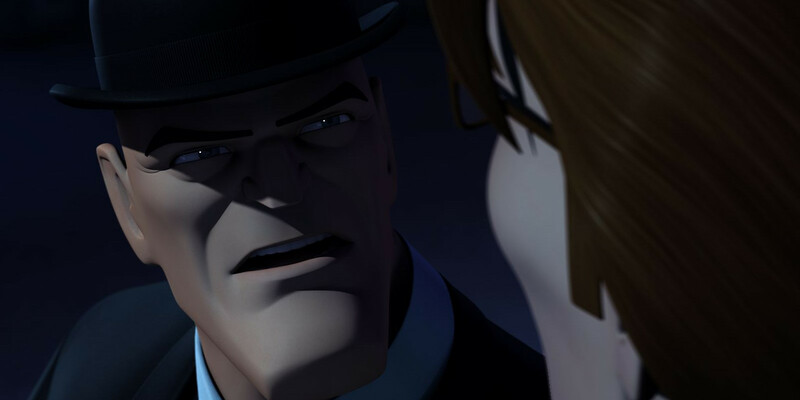 Though it present a very unique aesthetic, Beware the Batman remains an excellent addition to the Dark Knight library and a notable entry in the many adaptations of Mr. Pennyworth. Mocking Bruce, per usual: "If it's suicide you're after, I have an old family recipe. It's slow and painful, you'd like it." As live-action comic book movies grew darker, animated films followed suit. With special thanks to the vivid work of Frank Miller, the post-DCAU world of Batman and Alfred Pennyworth was filled with new and exciting interpretations. From Batman: Under the Red Hood to Batman: Year One, Alfred continued the established traditions of his character while evolving with the times. In both parts of The Dark Knight Returns, Alfred is at the cutting edge of his sarcastic form, nagging Master Wayne about his reliably suicidal disposition. Considering this Alfred was older than others, veteran English actor Michael Jackson proved to be a wonderful casting choice that imbued much needed gravitas to the role. Though the two-part series of Frank Miller ended in tragedy, it reminded audiences that Alfred and his ward were human after all. Additional entries like Batman: Bad Blood and The Killing Joke affirmed the uglier world of Gotham and the growing need for Alfred's role within it. To audience, on Bruce's scowling: "Not a funny bone in his entire body." This is animated Alfred at his very best, and for a particular generation, he will long be included in the best-remembered adaptations. Batman: The Animated Series seemed to strike the perfect balance between thrills and humor, taking advantage of the original source material in grand fashion. While Kevin Conroy's Batman may be the star, but Efrem Zimbalist Jr. turned Alfred Pennyworth from a butler into a more central part of Batman's life. Terrifically wry and armed with a stiff upper-lip, Zimbalist's Alfred has seen it all. Bruce knows he's a force to be reckoned with, a former British agent with combat skills matched only by his diplomatic flair. While he clearly cares for Master Wayne, Alfred hardly dotes on the man and instead prefers to maintain their slightly testy relationship. Indeed, the pair plays April Fools' tricks on one another to keep the tension alive and their comedic timing on point. Zimbalist passed away in 2014, but he rightfully earned his cult-like status as the premier voice actor of Alfred Pennyworth. To Batman, after a brutal encounter with Bane: "Don't add me to the weight you carry." While most video games can never compare to live-action performance, the Arkham series proves the exception to the rule. These aren't merely games, they're open-world experiences set in the most interesting city in all of comics. While the series shows Gotham overrun by criminals and headed towards its cultural nadir, Arkham Origins also spins a compelling tale of Alfred's crumbling relationship with Bruce Wayne. Batman furthers his vigilante tactics, but his loyal butler (voiced by a nuanced Martin Jarvis) cautions him to walk away from his dangerous lifestyle and return to a more normal existence. The Caped Crusader rebuffs his old friend, but when Bane beats the butler to death, Batman finally comes round. After managing to revive Alfred, Bruce's oldest friend finally understands the importance of Batman's role in Gotham City and encourages him to continue. While Alfred is now feared dead in the Arkhamverse, he will be welcomed back with open arms should he (and the renowned video game series) ever return. Retorting Bruce's subtle digs: "Even you've gotten too old to die young...though not for lack of trying." Alfred is the foil to Bruce Wayne, the yin to his yang. In Batman V Superman: Dawn of Justice, Batman lives in a state of perpetual rage while Alfred strives to bring reason into his life. 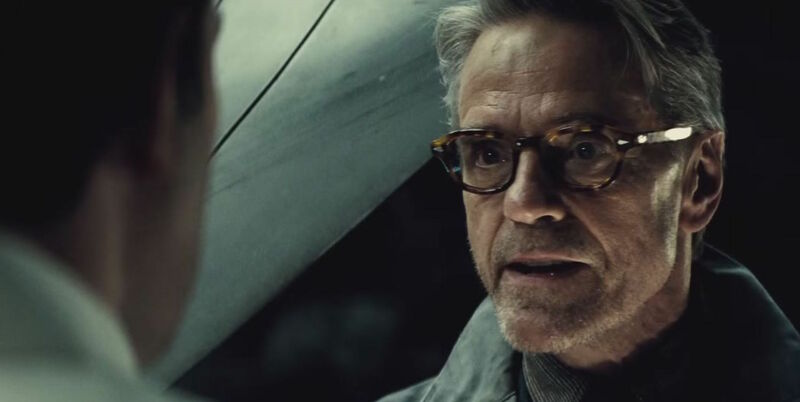 The dual natures of both characters are fully explored in Zack Snyder's heavyweight movie, and thanks to Jeremy Irons' layered performance as Alfred, his relationship with Bruce truly comes to life. Though the pair have long shared a sort of "bromance" in the Batcave, BvS heightens their partnership to tantalizing effect. Whether he's taking over drone-mode for the Batwing or drawing up plans of attack with Bruce, Jeremy Irons' Alfred employs his SAS background to make this modern Batman more lethal than ever. When they're not on the battlefield, this Alfred sublimates his abiding care for Bruce into sardonic quips and subtle asides. He isn't afraid to make Bruce defend his actions and his thoughts, especially when he thinks he's gone too far. Though Bruce Wayne has the swagger, Jeremy Irons' Alfred will have the last word. On reassuring Bruce: "What is Batman if not an effort to master the chaos that sweeps our world?" 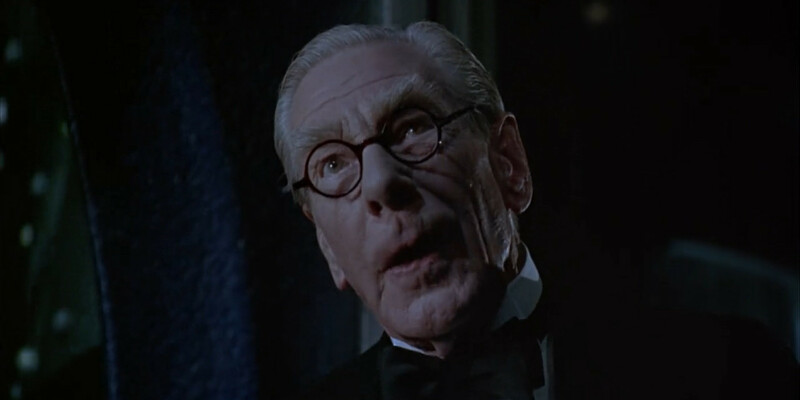 As the longest-running live-action Alfred in the character's history, Michael Gough first debuted in Tim Burton's 1989 Batman. Like Desmond Llewelyn's "Q" in James Bond, Gough served many Bruce Waynes, from Michael Keaton to Val Kilmer and George Clooney. Of all the Alfreds to appear on the big-screen, Mr. Gough exuded an unrivaled sense of decorum. With narrowly-rimmed bifocals and a natty tuxedo tailcoat, Gough attended to the lifestyle needs of Master Wayne with thorough detail. For Mr. Keaton's Caped Crusader, he served vichysoisse to elevate his tastes, and for Mr. Kilmer, he endeavored to provide him with a sandwich for the road. This Alfred was always thinking ahead. Though Michael Gough's admirable performances may have been ensnared in Schumacher's films, he remained a highlight even still. The ridiculousness of Mr. Freeze and The Riddler, amongst other absurdities, could hardly drown the authenticity of Gough's Alfred. One particular moment with George Clooney's disillusioned Bruce Wayne captures one of the best interactions between the butler and his ward. Consoling Master Wayne: "Vengeance blackens the soul, Bruce. I always feared you would become that which you fought against." As the holy grail of the DC Animated Universe, we felt Batman: The Animated Series deserved its own place on this list. 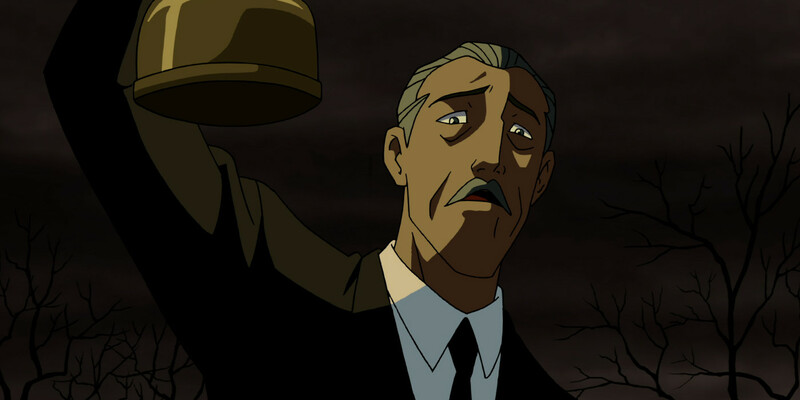 While TAS laid the groundwork for the future of Alfred, the larger DCAU contained a series of notable films and shows that renewed the enduring value of Batman's butler. From 1992 to 2006, the Animated Universe functioned as a veritable hit-making machine that made Batman and Alfred more approachable than ever. From Mask of the Phantasm (a must-watch for any true Batman fan) and Batman & Mr. Freeze: Sub Zero, to The New Batman Adventures and Justice League, Alfred Pennyworth played an integral role in Bruce's life and laid the groundwork for future live-action adaptations. At once heroic and understanding, humorous and cautionary, the Alfred Pennyworth of the DCAU shows the sagacious butler at his very best. Spearheaded by Bruce Timm and Paul Dini, and voiced largely by the ineffable Efrem Zimbalist, Jr., the DCAU Alfred remains one for the ages. Though Episode 1 has only just been released, Batman - The Telltale Series empowers players to live the Gotham lifestyle they've always imagined. While determining their role as the Dark Knight in a criminally-besieged Gotham, Alfred seems to play an important role in the story. Voiced by established actor Enn Reitel, this Alfred looks and acts rather like an animated version of Jeremy Irons' butler. For a taste of the action, check out this walkthrough of the first episode before Episode 2 gets released. Encouraging his ward: "Endure, Master Wayne. Take it. They'll hate you for it, but that's the point of Batman, he can be the outcast." Amid the pantheon of Alfred Pennyworths, one remains seared into our collective memories. Just as Heath Ledger has been indelibly attached to the Joker, Michael Caine owns the most significant piece of the Alfred Pennyworth estate. Since he first appeared in Batman Begins, Caine's Alfred was a distinctly compassionate man, more of a father to young Bruce than a butler. As Master Wayne grew into his family's empire, Alfred helped actualize his mission to become Batman. From covertly ordering mass quantities of cowls, to investigating the expansive caves beneath Wayne Manor, Alfred helped Bruce build Batman and then guided him from the masked vigilante's infancy to the hero of Gotham. In contrast to his predecessors, Caine's Cockney accent gave the character a level of empathy previously unseen. From consoling a recently orphaned Bruce in Batman Begins, to weeping at his funeral in The Dark Knight Rises, this Alfred is never afraid to reveal his heart. He is also a fighter, mind you, as evidenced by his beatdown of one of Ra's Al Ghul's henchmen: "I hope you're not a member of the fire brigade." However you slice it, Michael Caine's Alfred remains the definitive caretaker of Wayne Manor. Alfred Pennyworth is the light to Batman's darkness, the counselor and confidante he so sorely needs. While individual preferences may vary, each live-action and animated adaptation of Alfred have contributed a great deal to the mythology of the character. Like a coach in the midst of a boxing match, Alfred is there to heal Batman's wounds, to center his mind and to restore his confidence in purging Gotham of evil. 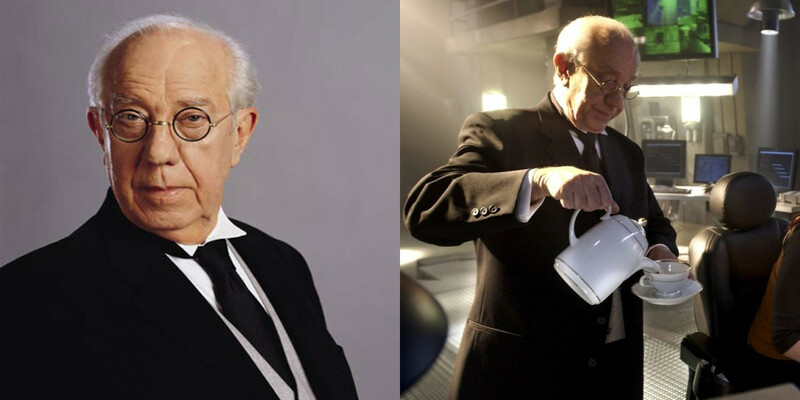 Though Alfred Pennyworth is typically seen in the golden years of his life -- and indeed, many of his real-life actors have since passed away -- the wise butler will always live on. Which Alfred do you prefer? Let us know in the comments!